Unlike full moons, which are for celebrating the fruits of your labor and taking action, a new moon is symbolic of new beginnings. New moons are all about dreaming, planning, and setting intentions. It’s a time of transition, and a time of introspection which can feel a bit scary. You can think of the time surrounding the new moon as a blank page — a space to be creative and to fill with your wishes for the future. In certain Pagan religions it is believed that actions are made more powerful when performed during the time of the black moon. It’s a perfect time for casting spells or performing rituals. Who knows, take advantage of the black moon this weekend and your wishes really could come true! Independent Aries has quite a few things to celebrate this week — your professional lull is officially over and financially you will be feeling much more secure. Now that you are feeling more comfortable career-wise, use the days (and nights) around the black moon to reflect on a partnership that is important to you — be it romantic or collaborative. With the annual new moon in Libra, now is the perfect time to start over with someone you love, or redefine your relationship (put a ring on it). If you’re not already in a twosome, this weekend is the ideal time to go out and explore your dating options. Relationships started under the black moon will be extra powerful! Has your apartment been feeling a little cramped as of late? Now is the perfect time to minimize and organize your personal space, Marie Kondo-style. With the black moon in your sixth house, you will be even more efficient at accomplishing tasks. Taurus’s love having a visually and tactilely pleasing space — so don’t get too carried away and toss all your decorative velvet throw pillows. Critical thinking and productivity is at its peak, so now is the time to make a list of goals, and begin to attack them one by one. This Friday, the black moon will light up your expressive fifth house, fueling you with a burst of energy and confidence. Use this fire to do a little self-promotion — through either social media or networking. This shouldn’t be too difficult for the quick-witted and sociable Gemini, as you will positively radiate under the new moon. This is also an excellent side to conceptualize and start a new artistic project as your creativity will be turned up to 11. The game plan you set during this time will continue to unfurl throughout the next six month cycle — so plant seeds accordingly and watch them flourish. You are being pulled in two different directions this week, my little crab, and that may be a touch confusing. On one hand, you are desperately craving some adventure and travel this week, and there is no time like the present to plan a little getaway! Towards the end of the week, the new moon will illuminate your fourth house of home and family, drawing you inwards. Use the time around the black moon to focus on your friends, family, and allies, and analyze your support system. Are your emotional needs are being met by your friend group? Do you need to expand your social circle or perhaps recommit to old friends on the sidelines? The answers will become clear with a little black moon-induced self-reflection. This week, the alignment of the planets brings about a confidence and a health boost for the strong lioness. It’s time to tune in to your creativity and record all those ideas swirling around in your head. 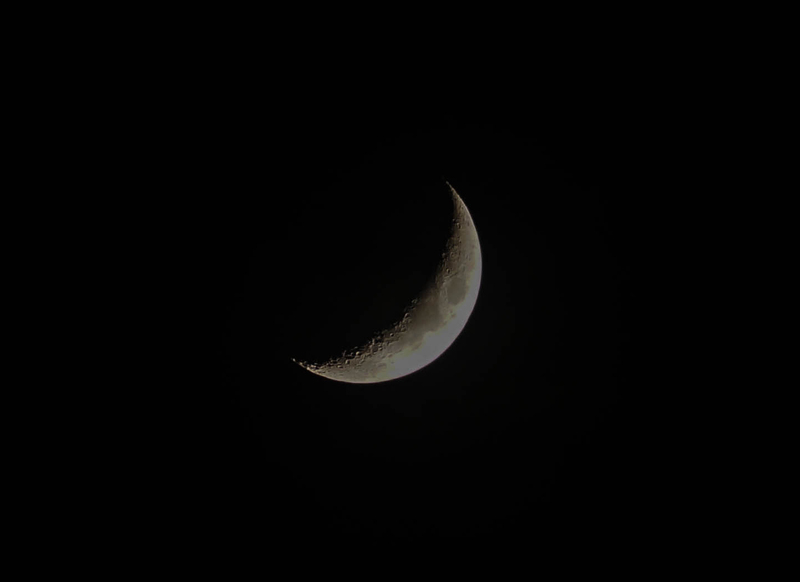 The appearance of the new moon, will bring about new connections and perhaps a new bestie on the horizon. This moon calls for more socializing, so get out there and take a class or play a game. Just be open to expanding your squad when you meet those special peeps. It’s all about the money, honey! Virgos will be turning over a new leaf professionally when the new moon in Taurus kicks off a fresh six-month cycle. Be sure to use this as an opportunity to send out those resumes and update your LinkedIn page. If you feel stuck in your career, now is the time to start the job hunt or grow your skills (and earning potential) by taking a professional classes. If you have been avoiding your bank statements, the black moon provides the perfect opportunity to effectively reorganize the dreaded budget. As the new moon rises in your sign the expression “if you can dream it you can do it” has never been more true. This only happens once a year, and the fact that it is a black moon is pretty powerful. This isn't just a new page in your book, but a total reset. To take full advantage of this special time turn inwards and map out your intentions for the coming year. Remember to think big when setting goals — luck is on your side. The new moon promises a new beginning, but that often means going through the painful process of saying goodbye. It’s time, brave Scorpio, to leave things behind that have been holding you back (be it emotional baggage, stress, fear, or a unhealthy relationship). The reflective new moon may show you a quick way out of a sticky situation, and I suggest you take it. New opportunities will only present themselves when you change your attitude and make space for them in your life. The new moon is popping into your eleventh house of community and income this Friday, so the weekend will be prime networking time. Reaching out professionally may lead to salary gains, and reaching out socially will lead to, well... lots of fun! Think about how to most effectively spread your social butterfly wings. Perhaps it is time to plan a party and broaden your social horizon — putting a few contacts you want to strengthen on the guest list wouldn't hurt. The clean slate of the new moon is the perfect time to set clear and achievable goals. Ambitious and success-driven Capricorns should think hard about where they want to be professionally in six months, and build from there. It's time to grab the bull by the horns, but be sure to focus on one bull at a time for the best outcome. If you are dissatisfied with your routines it's time to shake things up. Now is the time to think about starting a new project that excites and inspires you, or even a side business that will grow to feed your bank account. The black moon will set off fireworks in your ninth house of education, and may nudge you into some personal growth. Take a class or get in the entrepreneurial swing of things, and you will find you have a pep in your step. The new moon in Libra is about to make you practically irresistible, so get ready to rope a few admirers. If you are feeling the love, it's okay to get busy in the bedroom — your illuminated eight house is full of heightened intimacy and empowerment, so there is no shame in taking advantage of that. With the coming of the black moon it's an excellent time to think about getting closer with your bae or lavishing yourself with a little love and attention. Go ahead, you deserve it! Alrighty, now you are set to make the most of this special lunar event. Be sure to enjoy it as the black moon won't be back again until July of 2019!